Perfect gift for Father's Day! Your dad roles like a boss, right? He takes care of business, offers wisdom, love and support whenever needed. 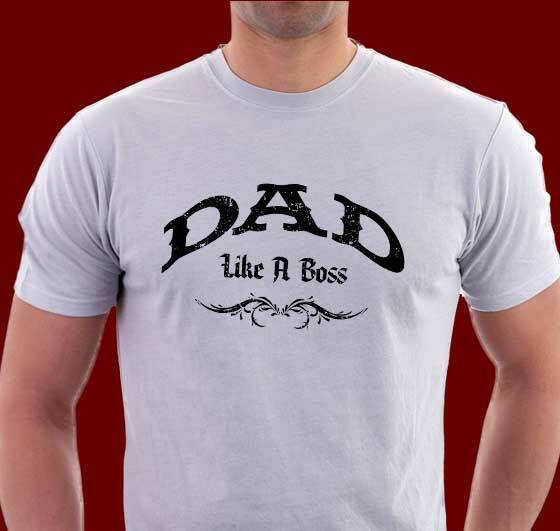 Doesn't your dad deserve a high quality T-shirt with a cool design to let him know they you think he rolls like a boss? This very hot design is available on a great number of quality T-shirt materials that you can only find here. It's a perfect Father's Day gift for anyone with a very cool dad! Check out all the cool T-shirts we have this design on below. We have this design available on name brand shirts like Haynes and American Apparel.